It’s easy to imagine this fine antique Kilim as a gallery rug hanging in Yosemite’s Ahwahnee Hotel. Flat woven with the soft supple texture of a wool blanket, its simple panel design features sawtooth and medallion elements in colors and patterns that delight the eye. 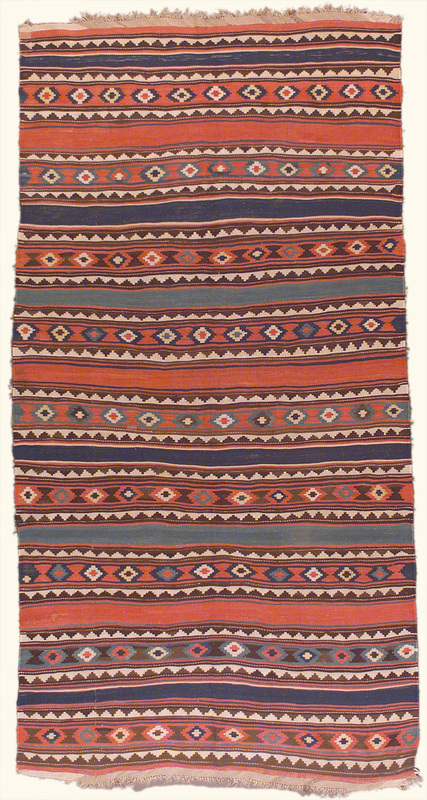 Historically, this Shirvan Kilim has spent most of its life as a collector’s piece, and it is in excellent condition with original edges and ends. A real treasure.